Neurasthenia has had a chequered history, receiving changing labels such as chronic fatigue or Gulf war syndrome. Neurasthenia is recognized by ICD-10, but not by DSM-IV. Its course, longitudinal stability and relationship to depression is not well understood. 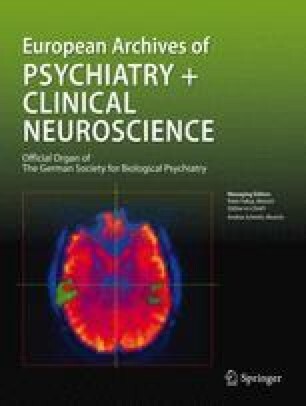 In a stratified community sample (n = 591), representative of 2600 persons of the canton of Zurich, Switzerland, neurasthenia and depression were assessed in six structured interviews between ages 20 and 41. Course, stability and comorbidity were examined. A severity spectrum of neurasthenia and depression from symptoms to diagnosis was taken into account. The annual prevalence of a neurasthenia diagnosis increased from 0.7% to 3.8% from age 22–41, while mere symptoms became less prevalent. Intraindividual courses improved in 40% and deteriorated in about 30% of symptomatic cases. The most frequent symptoms overall, besides criterial exhaustion, were increased need for sleep, over-sensitivity, nervousness and difficulty concentrating. Cross-sectional associations and overlap with depression were strong. Longitudinal stability of ICD-neurasthenia was low. Neurasthenia is intermittent, overlaps significantly with depression, and shows improvement and deterioration over time to roughly equal measures. This work was supported by Grant 3200–050881.97/1 of the Swiss National Science Foundation.